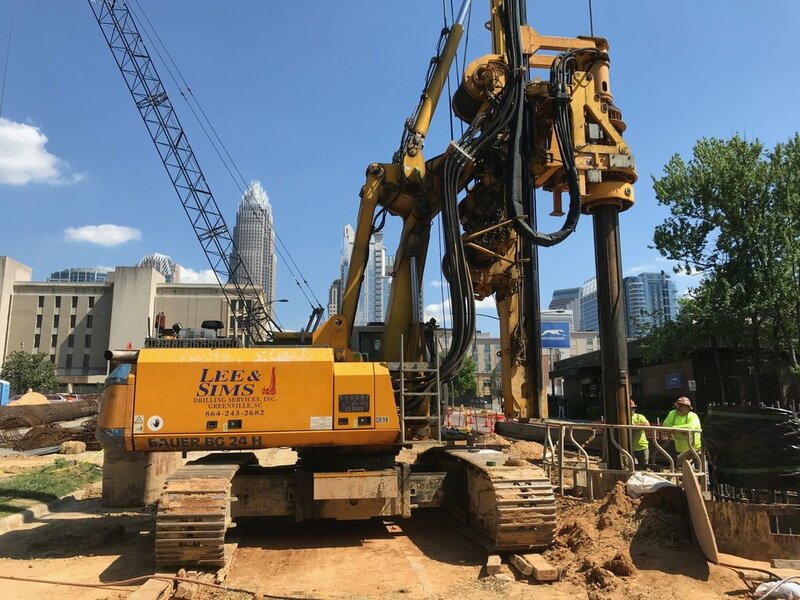 Charlotte, NC — Lee & Sims Drilling Services, Inc. 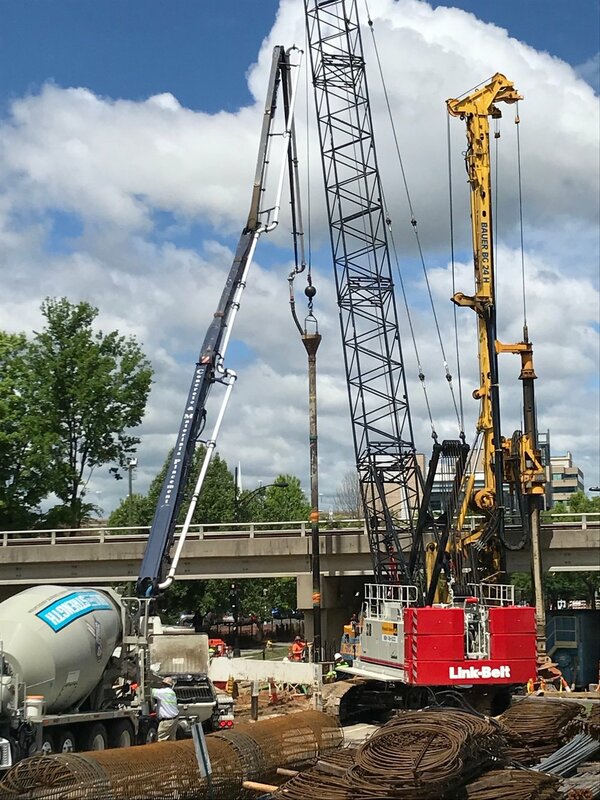 Seven 60" diameter drilled piers to a maximum depth of 70 feet using polymer slurry. Permanent steel casings were installed to depths up to 25 feet.